Coming from no real background or knowledge of the Jewish culture and faith, my recent Birthright trip to Israel was a real eye opener to some of the tensions and simplicities of this small Middle Eastern country. A man leans against the Western Wall in Jerusalem and prays after stuffing a note into the crack of the wall. A UN peacekeeper keeps lookout on top of Mount Bental in the Golan Heights which overlooks the Syrian border less than a mile away. Like I probably mentioned before, I went into this trip not really knowing much about the conflicts in this Middle Eastern area. When visiting Sderot, a small town just a short distance from the Israeli border with Gaza, our group was stunned when a missile flew over our heads and was shot down by the Iron Dome. This missile was headed to Sderot along with many other missiles fired that day from Gaza bound for other Israeli targets in the area. Although the entire event was only about five seconds and without any warning, this was an event none of us will forget. But for our Israelis on the trip with us, this was completely normal. A culture shock for me because this is something they had to grow up with, something that left a major of our group in tears having only witnessed an attempt of violence. This event, however minor it was, definitely was in the back of my mind while visiting the Golan Heights and looking just kilometers into Syria. While I still don’t completely understand the entire conflict, I was taken aback by the closeness and literal surrounding threat of violence the people in Israel face daily. With tensions on the rise, I keep the people and my new friends in mind as I sit here without this sad and constant threat here in the states. A lookout point from a bunker on top of the mountain shows views of the Israeli, Lebanese and Syrian land. Numerous Bar Mitzvah celebrations paraded through the area outside the Western Wall. These are common throughout Jerusalem each Thursday when most families host their sons’ Bar Mitzvahs in “The Holy City”. One of the things I think I noticed the most while visiting Israel was how friendly and welcoming everyone was. Now it could have just been that we were “Taglit” or Birthright and they wanted to know where we were from or get us to eat/shop at their store. But I thought it was interesting just how many people came up to us and welcomed us to Israel. On a different note, this was my first real time participating in Shabbat, a time where families and friends come together for activities, prayer and of course food. Our group of 40 or so had two Shabbats together each Friday night and we would just gather around and sing and dance and just enjoy each other’s company and the time we had with each other in that very moment. I do have to say, having Saturday be a day of rest for everyone was definitely appreciated after our busy, adventure packed weeks. We managed to find ourselves at a hotel with a pool each week and threw some awesome pool parties with some of the other Birthright groups. Overall, our individual group became a mini community of it’s own over the course of our 12 days and together became more apart of the Jewish community either through faith, culture or both. 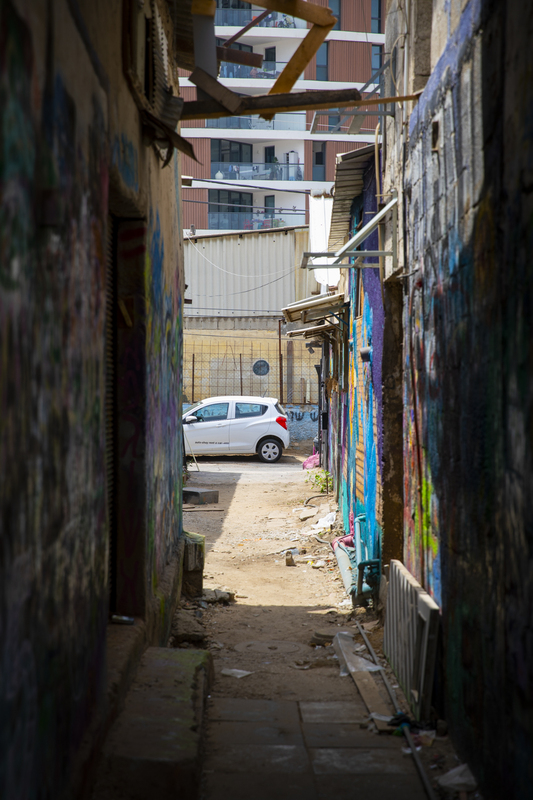 Niro Trip (@nirotrip) leads a graffiti tour through the streets and allies of Tel Aviv. Going along with the whole modern revolution in Israel, the creative art scenes have also been thriving in the country. During our Tel Aviv day, I was apart of the group that went on the graffiti tour which pointed out some of the smaller, less-noticeable pieces of street art from local artists as well as the larger, more obvious ones as shown here. We were reminded that this art is made to tie the community together and touch on some of the prevalent issues in the area to spark conversations. While the art may seem “cool” or visually pleasing, every single piece of work has some kind of story behind it connecting back to the individual artist. Wrapping up the series of unintentional “c” Birthright posts, I want to close with a post about the people I met on the trip. Having traveled with groups for a few summers now, I would definitely say a good group makes for a great trip and boy did we have a great group, even though it was 41 of us (#countoff) we all just somehow got along really well. I don’t know if it was the likemindedness of coming from the same school or just similar personalities of everyone wanting to go on a free trip and explore their roots or what but it worked. We had all gotten pretty close as a group within the first day or two, then we had eight Israeli soldiers join us for a few days of the trip. While still soldiers in the IDF, they were really just late-teens/early twenty-somethings just like us, not at all the strict, war-time soldiers we were expecting. It’s like we had known them and each other for years and it was so incredibly hard to say goodbye especially given the circumstances of that day… But it’s never a goodbye, it’s just a see you later. Going into this trip, I only knew the person who recruited me, and even not that well, so shoutout to Justyn for being awesome and getting me to come and being the all-around hype man for the trip. Jake, even though “then we didn’t talk for a few days” it was great to get to know you and keep it civil rooming with you, you’re a rad dude and you are absolutely thriving, can’t wait to read your screenplay about the trip, don’t trash that ring either. Chloe, Hannah, first stop when you guys get back to DC is Dominos right after we hit up Safeway for potatoes and extra salt, we have to start preparing for Tal. Raya, Guth is gonna be a wild ride this year thanks to your new honorary roommate. To all our Emory counterparts, come to DC and visit cause it’s better thanks, you are all welcome to my couch. Another maybe cliche thing I would say is that the best kind of friends you make, you don’t remember how or when you actually became friends so finally, Jess, Nir, Jamie, my mishbucha, I can’t wait to start next year off right with you guys, Amsterdam is not ready for us.